I’ll confess…my kids have never believed in monsters. Unless you count Sesame Street, that is. 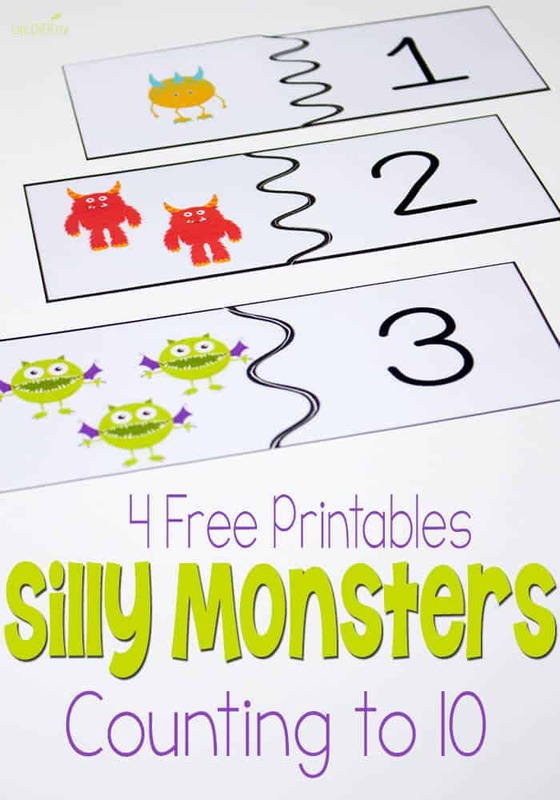 They do love playing pretend with silly monsters though & that makes these 4 free silly monster printables for counting to ten so much fun. 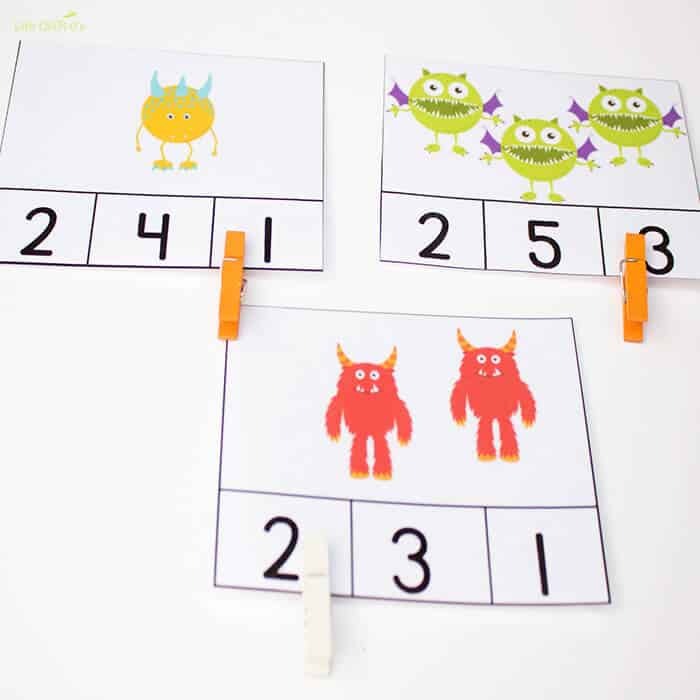 They can make silly monster voices while they are counting! I can hear the Elmo counting song in my head right now. 1, 2, 3, 4, 5, 6, 7, 8, 9, 10…11, 12. Sing it with me…lol! 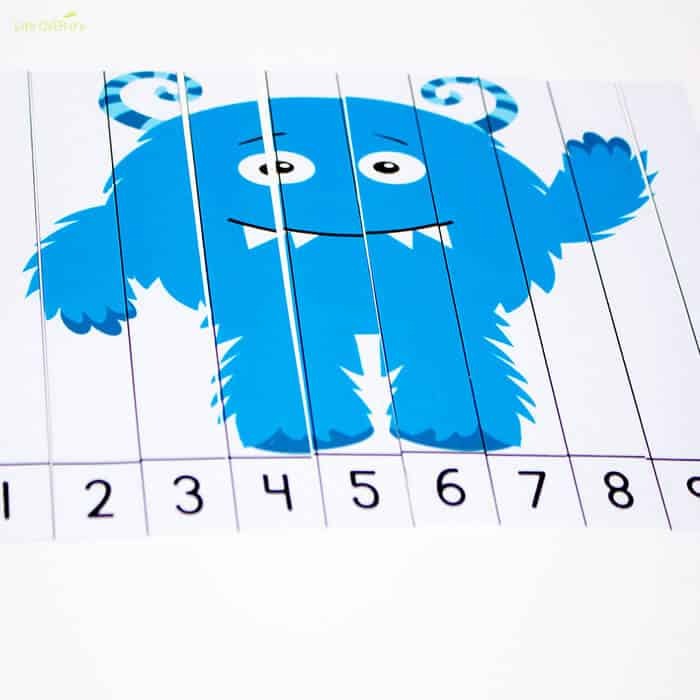 Your kids are sure to love these friendly “monsters” as much as we do! 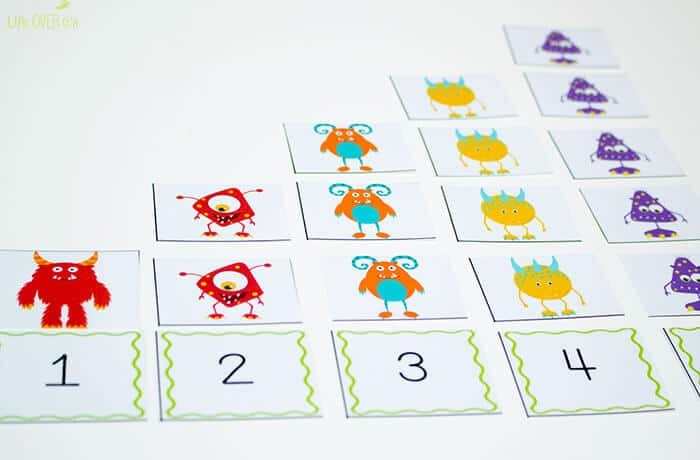 What adorable printables! 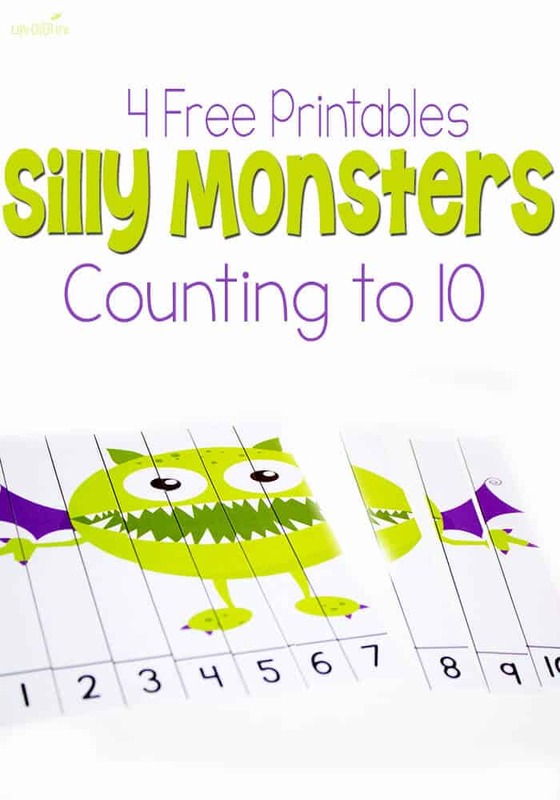 Silly monsters are such a fun way to count! Super cute! We are featuring you this week on our #laughlearnlinkup. Thanks for sharing 🙂 Please share our linkup on Tuesday with your feature! So cute! My kids love it! Such a cute idea, thanks for your time and making them free to your readers! My toddler is just about to start preschool and numbers is the hardest thing for her, hope this helps! These are awesome!! 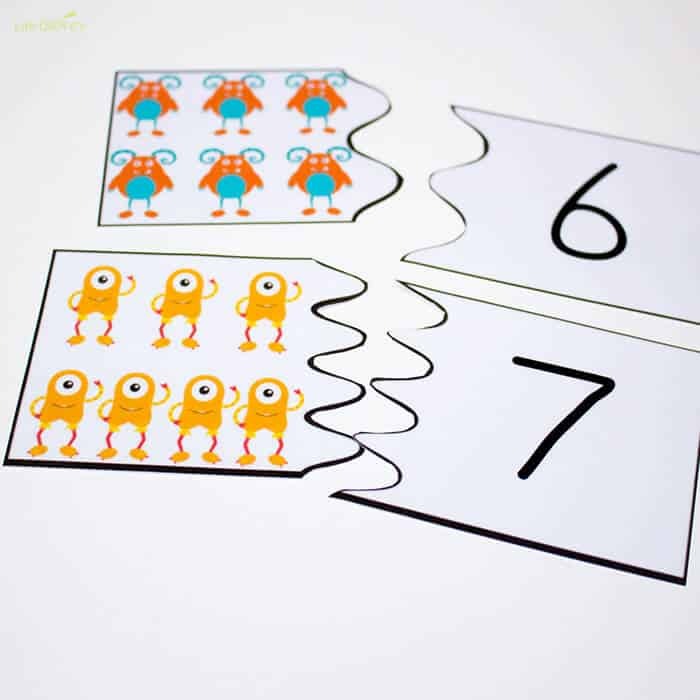 My 3 and a half year old loved getting the pages from the printer, helping me laminate and cut out the pieces. Then we got out the markers, glue, and googly eyes to decorate her clothes pins. We followed that all up with a couple versions of counting. I put them away before she got bored with them, and she can’t wait to get them out again. She has been making up her own “games” using numbers and her clothes pins. Please please please don’t tell her that this is a learning tool!